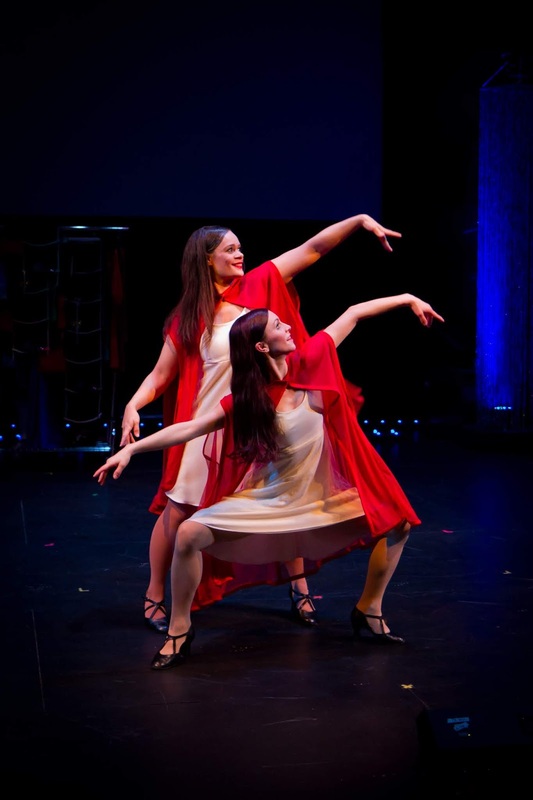 Now in their 6th season, Collide Theatrical Dance Company is an expert at telling stories through dance. 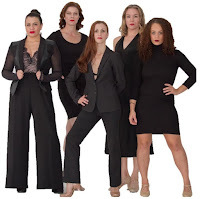 In their newest original jazz dance musical, playwright and frequent collaborator Michael Hanna has re-imagined Oscar Wilde's The Picture of Dorian Gray in the modern NYC fashion world with all female characters. 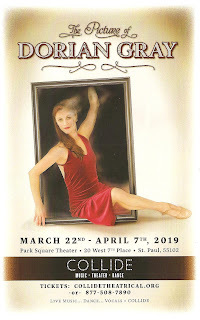 I'll let Regina Peluso, Collide's Artistic Director and choreographer of this show, take it from here. "This classic story, as told through a female lens, illustrates many central themes for women today including the fight against aging in our culture and in the beauty industry, social media's narcissistic influence, the depravity behind perfection, and the debate between beauty and morality." That's more words than are uttered in the entire 100-minute (including intermission) show, but all of that and more is conveyed through the expressive choreography, beautifully danced and emoted by the company, the appropriately chosen pop songs, and the sparkling look of the show. It's a fabulous and well constructed piece of dance-music-theater. As always, the program contains a plot summary that you can choose to read before or after the show, or not at all, since it's not really necessary for enjoyment or understanding of the piece. This version of Dorian Gray (Brittany Keefe) is an assistant to fashion photographer Basil (Rebecca Abroe), who takes a photo of her that goes viral. Designer Lady H (Heather Brockman) takes Dorian under her wing as the next star model, grooming her to take over the company. Dorian falls in love with singer Sybil (Katie Bradley), but pushes her away when their relationship gets in the way of her career. Meanwhile, Dorian's portrait (embodied by Chelsea Rose) becomes more and more evil and ugly, outwardly representing what Dorian has become. 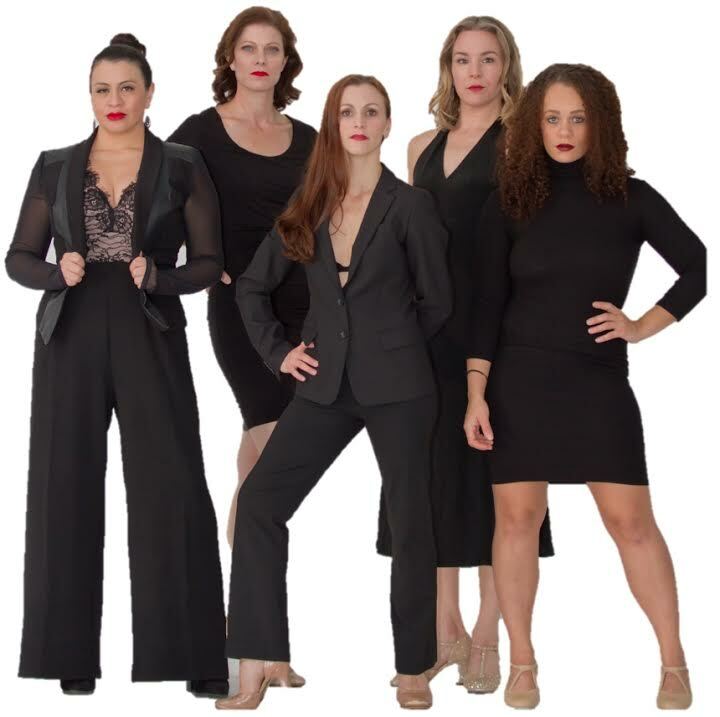 The story is told as a series of dance numbers, accompanied by vocalist Katie Gearty and the awesome onstage band under Music Director Shannon van der Reck. 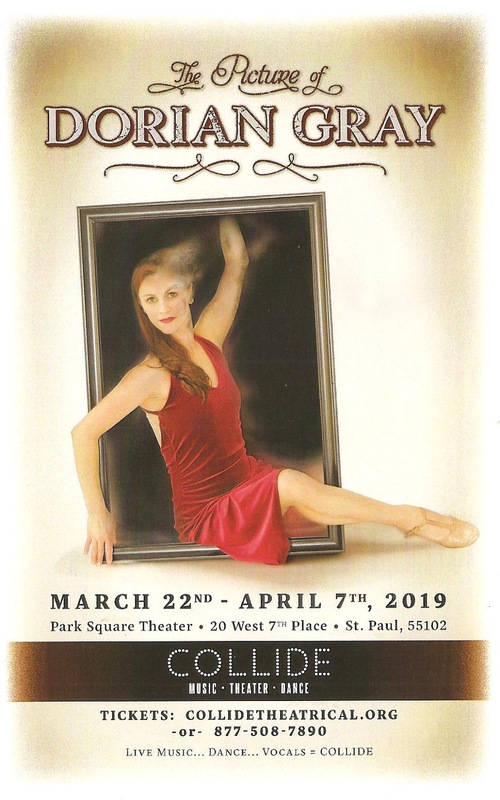 #TCTheater artist Katie Bradley sings as well, and then steps into the spotlight as Sybil, conveying all of the emotions without a word, even taking a turn on the dance floor and totally holding her own among this company of trained dancers. Songs range from "Vogue" to "Fame" to "You've Got Time" (aka the Orange is the New Black theme song), and each dance features fresh, modern, cool choreography that specifically conveys the emotions of the scene. I was particularly fascinated by one number in which Brittany Keefe dances with a ballet slipper (en pointe!) on one foot and a jazz dance shoe on the other as Dorian is contemplating her new life. Crazy cool! All of the dances are really fun to watch and just impeccably danced by this company of women. We were halfway through the first act before I realized there were no male dancers. I didn't miss them at all (sorry, guys). Park Square's proscenium theater is decked out like a fashion runway with all the lights and sparkles necessary. In a show about fashion, the costumes need to be spot on, and they are. Costume designers Jan Jacobsen and dancer Rebecca Abroe (who saves the best costume for herself - a cute comfy denim jumpsuit that I want) clothe the dancers in an array of fabulous outfits that also allow them to move beautifully. Sequined black shorts with bold colored jackets, sporty looks, chic black and white, each fashion show is better than the last. Collide's fabulous, modern, feminist take on The Picture of Dorian Gray continues through April 7. It's a great way to get a little dance with your theater.